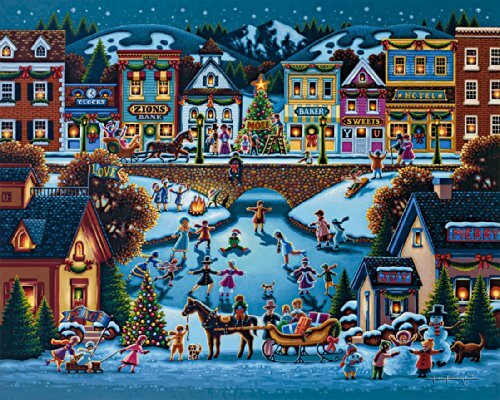 If you love folk art you’ll simply love these Eric Dowdle Christmas Puzzles! 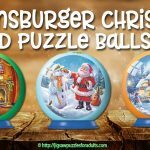 If you love folk art then you will love viewing Christmas through the eyes of Eric Dowdle in these Dowdle Christmas Puzzles. 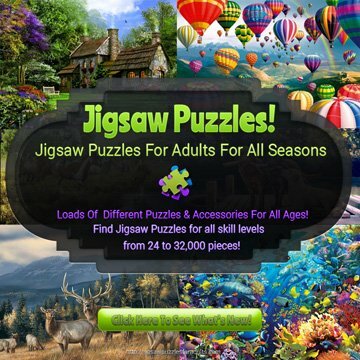 => Find the Perfect Eric Dowdle Christmas Folk Art Jigsaw Puzzles at a Great Price! 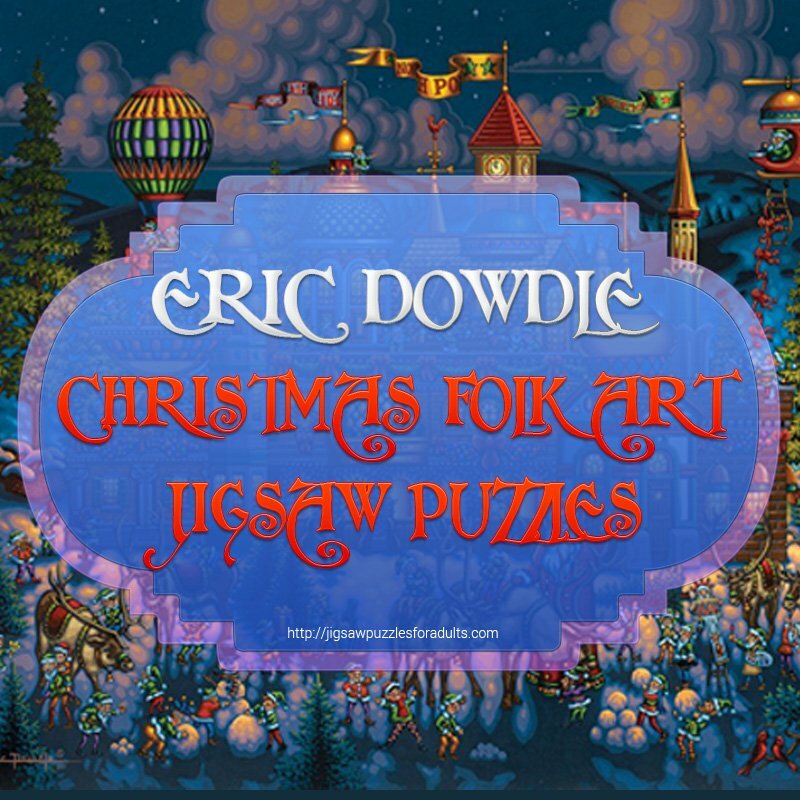 On this page I’ll be showing you the a number of Charming Dowdle Puzzles for Christmas along with a description and all the specific details of the most popular Eric Dowdle Christmas jigsaw puzzles. There are very few artist that are able to capture the charm and warmth of the Christmas season like Eric. 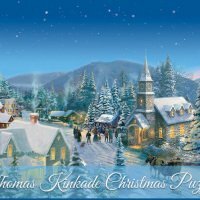 Eric Dowdle has a gift of depicting our loved Christmas scenes and memories in a totally delightful way and captivates people of all ages with his detail and style they he portrays each scene. Eric has this unique funny , quirky, personality that is represented in his art. 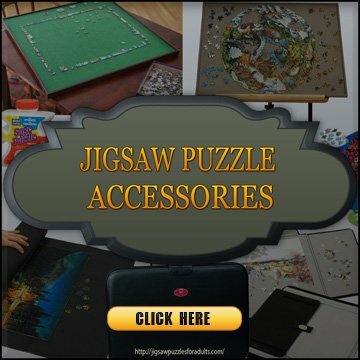 He is known around the world for his unique style and all his wonderful folk art jigsaw puzzles. 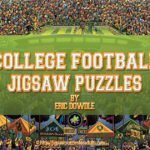 He not only creates Christmas puzzles he also known for his College Football Stadium puzzles. Eric’s imagination conveys a warm whimsical friendly view of Holiday season or Christmas story that he portrays in each of his Christmas Paintings. 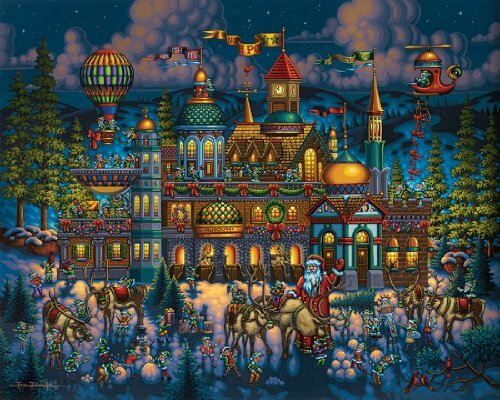 You’ll find ten charming Eric Dowdle Christmas Puzzles on this page. 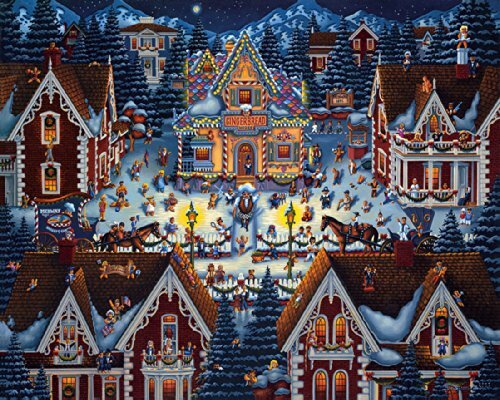 If you are familiar with Eric Dowdle’s folk art then you must see these Christmas Folk Art jigsaw puzzles. 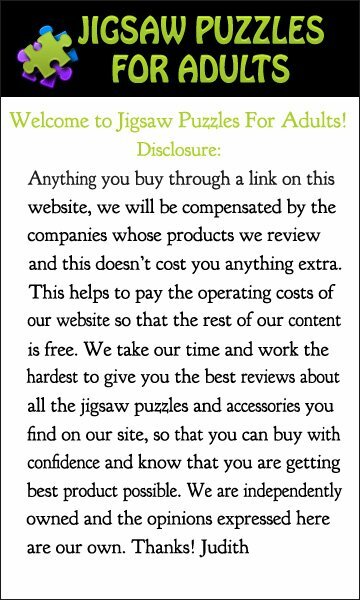 Eric’s imaginative, whimsical artwork has been reproduced as jigsaw puzzles and you’ll be able to buy them easily online. Here’s Santa himself with his bag of Christmas joy. Eric Dowdle creates a delightful folk art depiction of St. Nicholas that the whole family will love. 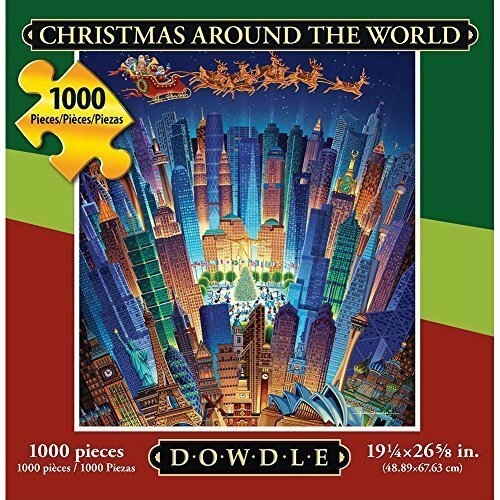 Christmas Delivery Jigsaw Puzzle is made up of 1000 pieces and measures 19 inches by 27 inches when completed. 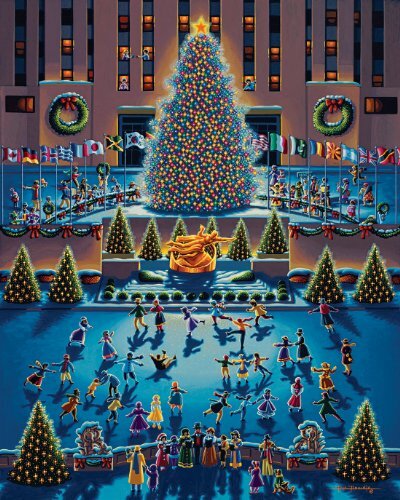 The annual Christmas tree lighting in Rockefeller Centre, New York City is brought to life Eric Dowdle folk art painting where he brings together a mix of modern with past. 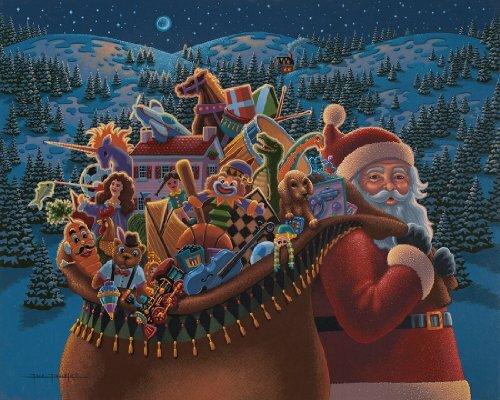 You will totally enjoy working on this Winter Fun 1000 piece jigsaw puzzle that measures 19 inches by 27 inches. 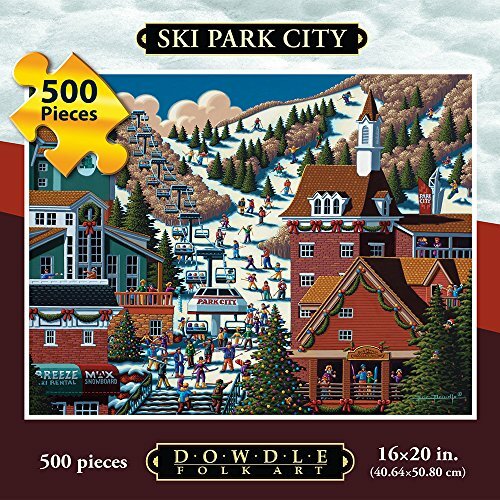 Alpine Christmas is a 1000 piece jigsaw puzzle from the seasonal collection by Eric Dowdle. 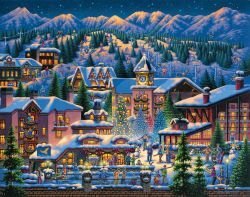 The scene on the jigsaw puzzle is of Alpine , Utah at Christmas with all it’s festive Christmas decorations. Dowdle catches the Holiday spirit in his unique way. Notice all the snowmen and gingerbread men in this finished 19 inch by 27 inch jigsaw puzzle. This beautiful painting of the Nativity comes alive in this Christmas jigsaw puzzle by Eric Dowdle. 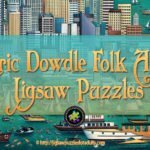 Eric Dowdle tells this very special Christmas story in his own unique way in the folk art jigsaw puzzle. 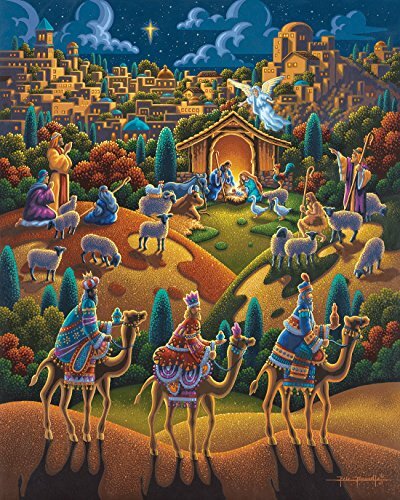 This Nativity jigsaw puzzle is made up of 500 pieces and measures 16 inches by 20 inches when finished. 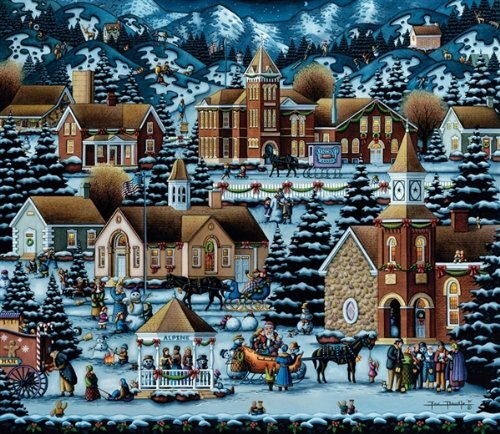 Hometown Christmas jigsaw puzzle by Eric Dowdle shows how a whole community celebrates the Christmas holiday in this peaceful scene. With a backdrop of colorful buildings all decked out in Christmas decorations and people caroling, ice skating,sledding, decorating a Christmas tree, and building a snowman. 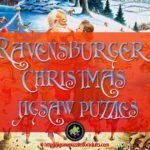 Join in with all the holiday fun with magical Hometown Christmas jigsaw puzzles that has 500 pieces and measures 16 inches by 20 inches. Santa’s workshop at the North Pole is a charming jigsaw puzzle by Eric Dowdle showing Santa and his elves busy working in a magical winter wonderland. You’ll also see many elves not only hustling about getting toys ready for all the girl and boys but also engaged in some totally crazy antics as well. See all the fun and festivities going on in Santa’s workshop in this beautiful Santa’s Workshop jigsaw puzzle. 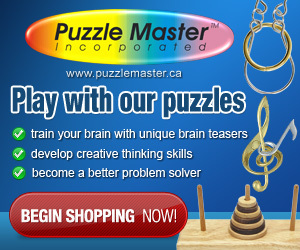 This puzzle is made up of 1000 pieces and measures 19 inches by 27 inches. In this Christmas Gingerbread House, Eric Dowdle has created a whimsical winter wonderland scene filled with gingerbread men of all different types doing lots of different activities. Look closely and you will find some very famous gingerbread men. Gingerbread house is a 500 piece jigsaw puzzle that measures 16 inches by 20 inches. 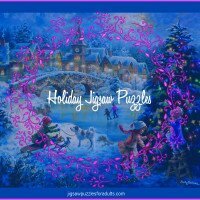 I hope you enjoyed this page of Eric Dowdle Christmas Puzzles and if you are a fan of Eric Dowdle Folk art you might want to check out some of our other Eric Dowdle Folk art jigsaw puzzle pages or maybe you are more interested in Christmas Puzzles for the holiday season.